automate common administrative tasks required to operate a distributed cache environment. improves the performance of web applications by allowing retrieval of information from a fast, managed, in-memory caching system, instead of relying entirely on slower disk-based databases. improve application performance by storing critical pieces of data in memory for low-latency access. be used to cache results of I/O-intensive database queries or the results of computationally-intensive calculations. Horizontal scaling beyond the compute or I/O capacity of a single primary node for read-heavy workloads. it propagates the DNS endpoint changes to redirect the node’s existing DNS name to point to the new service resources. A Redis replication group is comprised of a single primary cluster which your application can both read from and write to, and from 1 to 5 read-only replica clusters. A service by this name doesn’t exist. Perhaps you mean Amazon CloudCache. A virtual server with a huge amount of memory. An Amazon EC2 instance with the Memcached software already pre-installed. Which statement best describes ElastiCache? When you are designing to support a 24-hour flash sale, which one of the following methods best describes a strategy to lower the latency while keeping up with unusually heavy traffic? Your application is using an ELB in front of an Auto Scaling group of web/application servers deployed across two AZs and a Multi-AZ RDS Instance for data persistence. The database CPU is often above 80% usage and 90% of I/O operations on the database are reads. To improve performance you recently added a single-node Memcached ElastiCache Cluster to cache frequent DB query results. In the next weeks the overall workload is expected to grow by 30%. Do you need to change anything in the architecture to maintain the high availability for the application with the anticipated additional load and Why? You should deploy two Memcached ElastiCache Clusters in different AZs because the RDS Instance will not be able to handle the load if the cache node fails. Stateless instances for the web and application tier synchronized using ElastiCache Memcached in an autoscaling group monitored with CloudWatch and RDS with read replicas. Use EBS to save session state. Answer should be A and D.
This is a cache engine metric, published for both Memcached and Redis cache clusters. We recommend that you determine your own alarm threshold for this metric based on your application needs. Memcached: If you exceed your chosen threshold, scale you cache cluster up by using a larger node type, or scale out by adding more nodes. Redis: If you exceed your chosen threshold, scale your cluster up by using a larger node type. Thanks Senthil, my bad marked that incorrectly. Corrected the answer now. Thank you very much for this blog, passed my AWS Certified SA Associate with flying colors after going through everything on your blog for the last 3 days (took a cloud guru course before, while nice it is not sufficient to clear the test). 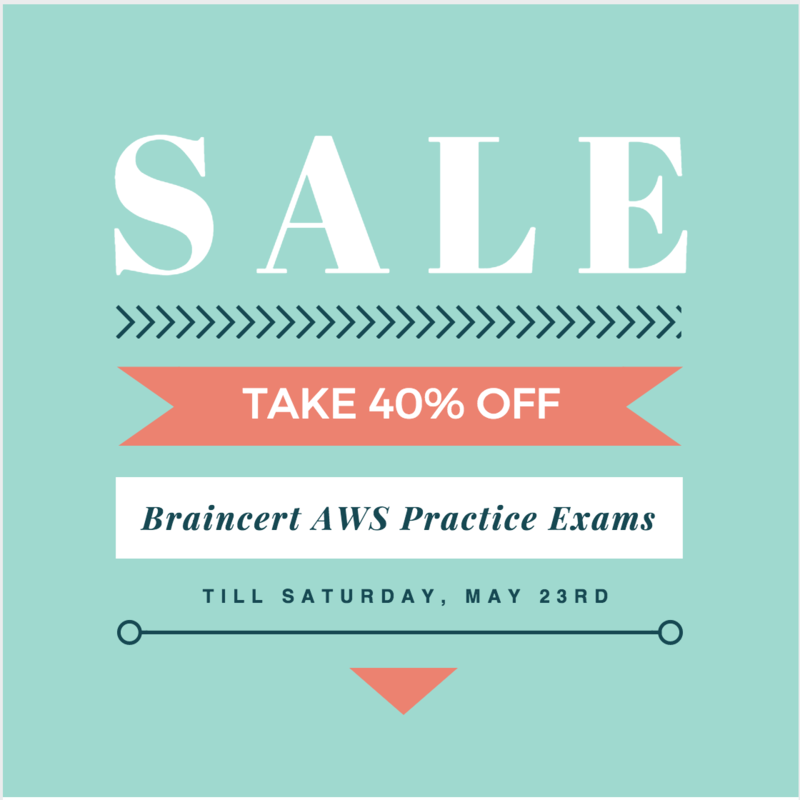 This is the best resources on the Internet for AWS test preparation – keep up the great work ! Let me know if any suggestions to improve it further. I have completed another certification AWS Sys-Ops with 89% after gone through your blog. Earlier I completed AWS SA with 89%. Thanks a lot for keeping up the site for us !!! Now I am targeting AWS SA Professional. 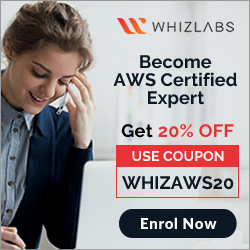 Could you please share your suggestions/guidance for AWS SA certification ? Cloudguru course costs $89 for AWS SA professional? is it worth to buy? I had got Cloud Guru course on sale for $49 some time back. But Personally I liked Linux Academy course as it covers a lot. You can try a free trial for 7 days and check as well. please explain for q#6 why answer is not b. a lot of people are saying b. Its debatable as am not sure if the VPN mesh between instances is really scalable even though time is a constraint. Just my gut. Please can you explain why for Q 10 answer (a) is correct. Please can you explain what is Stateless instances and Stateful instances. The basic idea here to not allow the user to be associated with an instance which cause issues with scaling as the user requests are always redirected to the same instance even though the system has scaled. So the recommendation is to go for Stateless architecture and use Redis or other data stores for fast access to user information. Stateless just means maintaining the state for e.g. using ELB session stickiness.